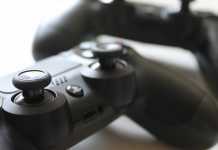 Rumors about 2018's first flagship product for XNUMX have been with us for several months,Snapdragon 845 before most of the other players in the market - but now it seems that the whole thing is becoming much more tangible thanks to documentation from the device itself, which provides us with a large part of the main technical data. 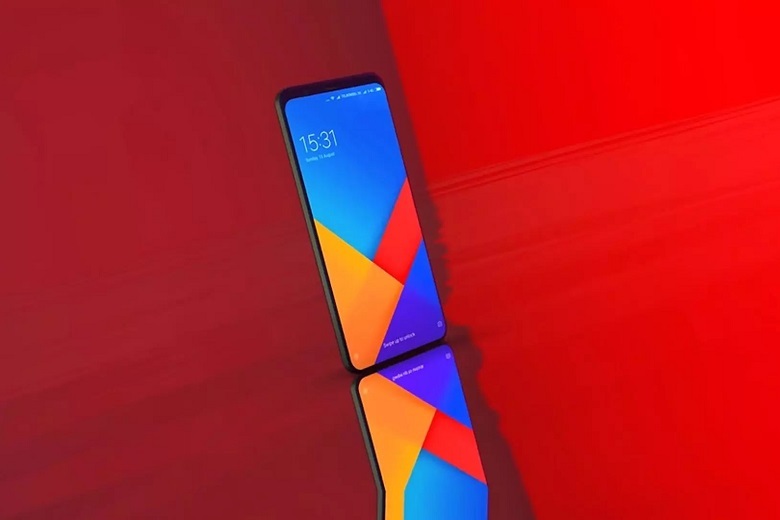 Last month we heard estimates that the Xiaomi Mi 7 could win an official show at the MWC 2018 exhibition in Barcelona, ​​which will open in just over two weeks, alongside products such as the Galaxy S9. Currently, it seems that the prevailing estimates are the official exposure that comes shortly after the leading mobile exhibition - but it is still early enough to make the device one of the first in the world to be operated by chip The New Age From The Company Qualcomm. What else would he have? Probably black Memories Generous, and significantly increased batteries. 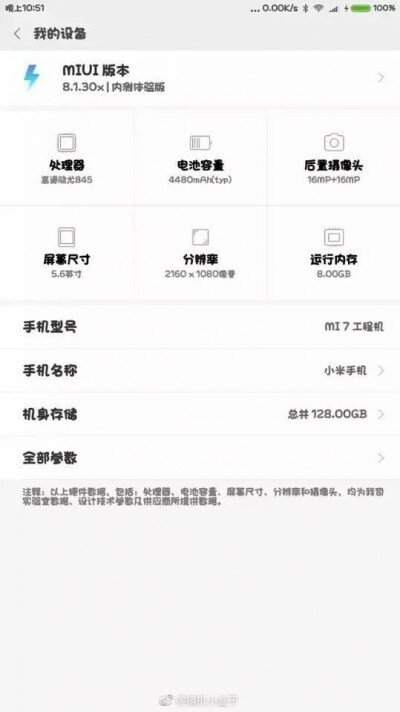 Chinese-language documentation from the Mi 7 configuration screen confirms the use of the Snapdragon 845 inside it, together with a long 5.6-inch screen with a resolution of 2,160 × 1,080 relatively modest pixels, dynamic memory of no less than 8 Gigabyte, built-in 128 gigabyte (not clear whether it's base data or an upgraded model), a pair of prime cameras with a maximum resolution of 16 megapixels per sensor - and battery With a capacity of no less than 4,450mAh, which is a quantum leap of 1,100mAh compared to the Mi 6 models, and you can provide very good data due to the relatively moderate screen size and resolution. The MIUI 8.1.3 operating system may indicate that the model is not very up-to-date, since the devices on the market already have a MIUI 9 system from last month - but if we assume the material data is authentic, there should be no significant change between the prototype and the final commercial models Talk to the shops. 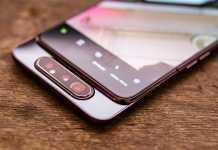 Information released from the past stated that the Mi 7 will also be the first model of the company to include built-in wireless charging support, plus stereo speakers and even some water and dust protection (IP54 is relatively modest than unexpected water drops or more rigid IP67 that will allow the product to survive full immersion in fresh water ). With or without these additions, there is no doubt that this will be a very advanced and intriguing product - especially when you come out of the assumption that it has also been reinforced by some of the prophecies and rumors that this smartphone will not carry a full price tag of a flagship but something that is closer to a popular intermediate device such as 2,500 Or 2,700 yuan, which are between 400 and 430 USD in direct conversion. Will the Mi 7 really become the most cost-effective smartphone available on the market right after its launch? 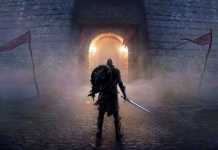 You are invited to share and participate in comments. 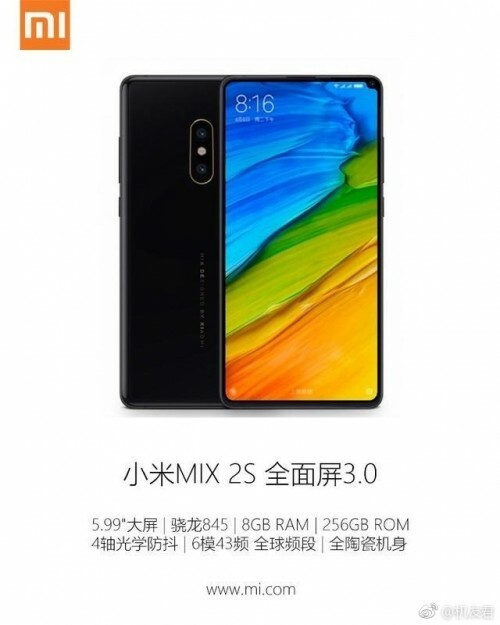 2 Update: Believe it or not, but the network reports that another luxury and advanced device of my coming soon - the Mi Mix 2S, which will also offer chip Snapdragon 845 and dynamic memory of 8 GB, along with volume storage Which will reach up to 256 gigabytes and an 6-inch screen with an even thinner frame than ever before, a pair of rear cameras and a front camera that is finally at the top, this time in a small hole on the right side of the screen. Let's hold on to the fact that this is not just another amateur forgery but the real thing - and that the launch will come in the next two months as expected. Will this impressive piece be launched soon? 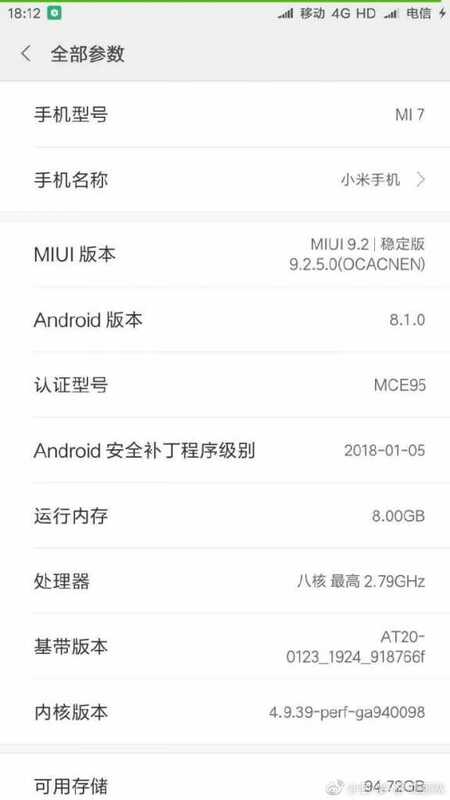 updating: Another screen shot found on the network provides verification of the technical data we have already seen about the memory volumes of the Mi 7, along with an updated MIUI 9.2.5 interface, which improves our confidence in this intriguing model.